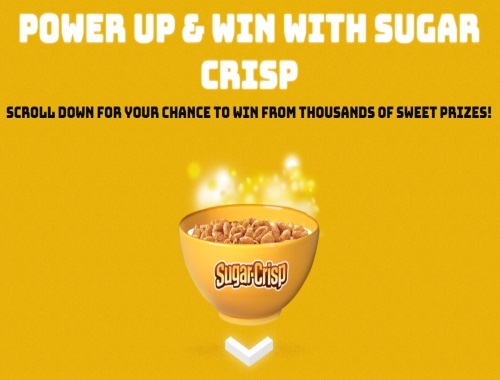 Power Up and Win with Sugar Crisp! Thousands of prizes to be won including Playstation VRs, XBox One Bundles, PC graphic cards, hundreds of gift cards and thousands of Sugar Crisp coupons! Limit 1 registration per person. Limit 1 play per hour. Contest closes August 4, 2017. Quebec is excluded.